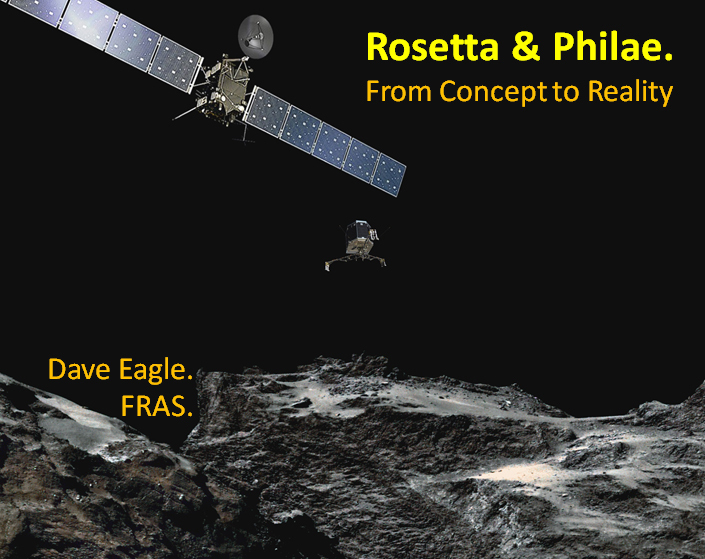 On Tuesday the 9th of May I will be presenting my most popular presentation, Rosetta & Philae: From Concept To Reality to Leicester Astronomical Society. Now updated to include the end of this spectacular mission. There is also a chance, courtesy of Dr Colin Snodgrass from the Open University, for the audience to sniff Comet 67P to decide what they think it really “smells” like. So, if you’re in the area, come along, say “Hello” and enjoy my presentation.